When it comes to writing thank you notes I have to be honest – I have good intentions, but sometimes I fail to follow through. I have a whole box of blank, un-mailed thank you cards and stationery to prove it! As I write this blog post I have some feelings of regret over missed opportunities to say a more meaningful thank you. What tips can help people like me to express genuine gratitude to others? 1) Make it special. A hand-written thank you note using a real pen and paper is usually far more meaningful and personal than a text message or email. It stands out as something special in a world full of electronic communications. 2) Be prompt. 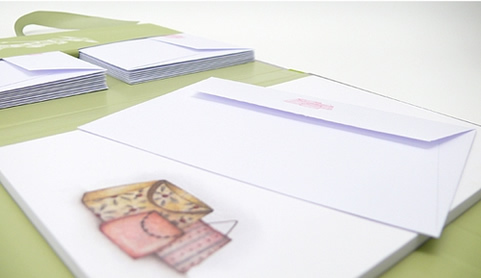 When it comes to writing a thank you note sooner is better! Within a few days is best. It is easiest to write your feelings when your enthusiasm is high plus it displays good manners. If you do delay, limit mentioning the delay to one short sentence in your note and move on to the more important part of the message. 3) Be prepared in advance to be thankful. If I have to go through the whole process of shopping for a card, buying stamps and then trying to get someone’s address before sending out a note of thanks I will admit I am far less likely to get this done. Now that smart phones exist I have made it a point of collecting more up-to-date address information from family, friends and acquaintances and I can actually find that info again when I need it. This is very unlike my old system of writing addresses on scraps of paper that would get lost before the address got properly transferred into my paper address book. I also like to keep some old-fashioned postage stamps around so that I can put my letter in the mail at a moment’s notice. It is helpful to keep some appropriate cards, stationery supplies and a nice pen handy and stored together in the same place if possible. 4) Be specific. If you received a gift, specifically mention the gift by name. For example, “beautiful royal blue fountain pen” or “bright orange Rhodia pad” instead of just using a generic word like “gift” or “present”. If the gift was cash, a gift card or something similar, it is not necessary to mention the amount that the gift was for. Rather you can mention specifically what you plan to use it for. 6) Avoid the negative. If something about the gift isn’t quite as you would like, it is not necessary to express these feelings. Avoid saying things such as “thank you for the beautiful fountain pen but I do not like the color blue”. 7) Keep it simple. Do not detract from the purpose of your thank you note by including a bunch of other news. Stick to the topic on hand and focus on thanking the giver. A thank you note does not need to be a whole page of information, a few sentences can be sufficient. 8) Add a personal touch. 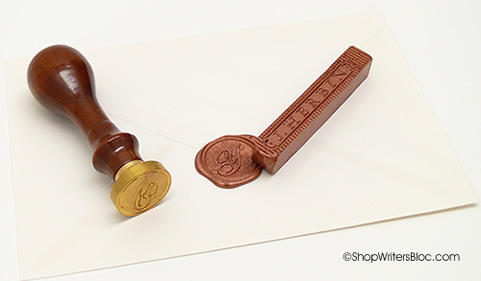 When words are hard to come by, other things can add a personal touch such as making a thank you card by hand, including a photograph, writing with a fountain pen, choosing a special ink color, writing in calligraphy (I wish I had the talent to do this), or using a wax seal on the outside of the envelope. 9) Conclude with gratitude. Restate your thanks at the end and sign your name. 10) Be happy! I’ve heard that recent studies show that by being grateful we can increase our own happiness. From you own personal experience, do you have any tips on writing thank you notes that you would like to share? 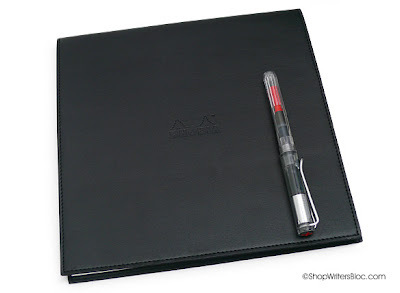 Do you own at least one or two high-end writing instruments such as fountain pens? Have you been bitten by the pen collectors bug? (As far as I know there is no simple cure for this.) 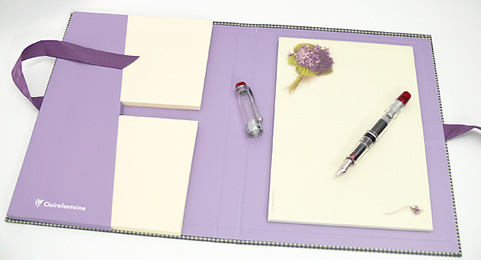 Or are you just particular about being organized and keeping your pens in perfect condition? If you usually only use one or two pens at a time, what do you do with the rest when they are not in use? What’s an effective way to carry the pens you want to use? Thankfully, previous generations of pen collectors have designed attractive and practical solutions for writers who adore pens. Besides being attractive, many pen cases are specially designed to keep objects, including other pens, from bumping, scraping and scratching your writing tools. Pen cases help to keep your pens safe if they should fall from a desk. Leather pen cases are much classier (and less nerdy) than a plastic pocket protector for carrying pens in a shirt or jacket pocket. They can keep your pens organized at home or in your purse or briefcase. 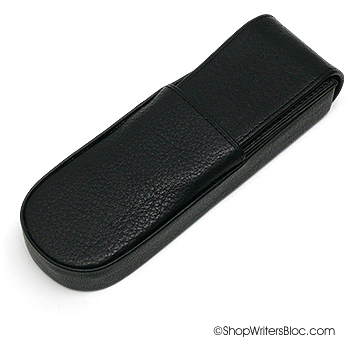 Pen cases give you the satisfaction of knowing that your writing instruments are being given the greatest of care. If you like to carry around a single writing instrument there are several styles of cases designed for a solitary pen. 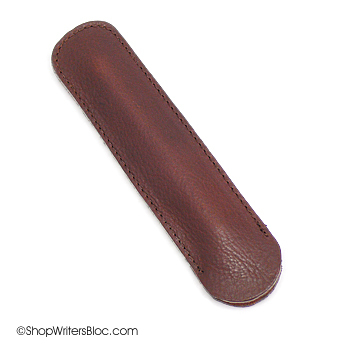 A very simple case for a single pen is a basic, unlined leather pouch. This kind of pen pouch is an affordable way to experience the benefits of protecting your pens. 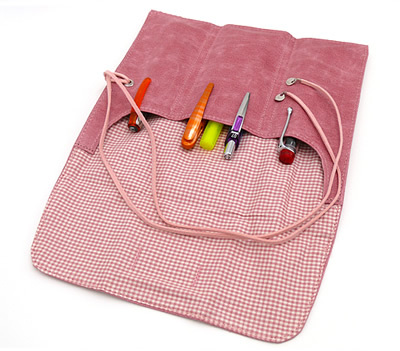 These simple pouches also come in a larger size for carrying two pens, but they do not prevent the pens from touching each other. 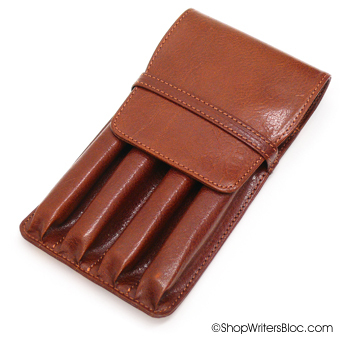 Another style of pen case is the type that has individual pockets for each pen, kind of like the fingers in a glove. These cases often close with a flap that slides under a strap. As each pen is placed in its own pocket, the clip is often placed outside of the pocket to clip the pen securely inside. These pen cases come in different sizes to hold different numbers of pens – typically they hold anywhere from one to four pens. 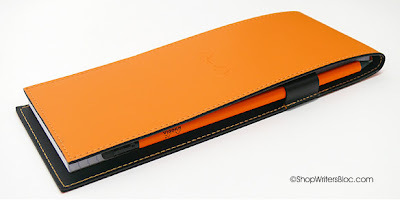 A similar kind of case is the leather pen box or firm case. This type of case has slots that the entire pen, clip and all, slides in and out of. They often have a flap that tucks into a pocket or under a strap to keep the case closed. Aston Leather makes it easy to get the pens in and out by allowing the top part of the hard case to open up. These cases often hold from one to four pens total. Wrap pen cases, when open, are a flat rectangular piece of cloth or leather that on one side has pockets to slip your pens into. To secure your pens into this case it is best to clip them to the edge of the pockets if possible. Some of these cases have pockets for individual pens, other have larger pockets that hold 2 or 3 pens each. There is a flap that goes over the top of your pens once they are inside. Then the case is rolled up or folded and secured with a tie or strap. Depending on the number of pens in the case, the case size and materials, some of these wrap cases can get a bit bulky when rolled. Often these cases can hold approximately 5 to 10 or more pens. If you have a collection of 10 or more pens there are large storage solutions available. Leather cases that open like a book and have a zipper closure are popular. Inside there are elastics that secure the top and bottom of each individual pen. A piece of protective material that prevents the pens on one side of the case from touching the pens on the other side of the case is placed between the two covers before you zip the case closed. You can get this type of case in different sizes ranging from a small case that holds 2 or 3 pens, to a large case that holds 40 pens. There is also special furniture available for pen collectors to carefully store their pens. Some of this furniture is in the style of a display case with a glass top so that you can see your beautiful pens. Other furniture has slim drawers for storage purposes. There is quite a variety of pen storage furniture! This is not a complete list of pen storage solutions, instead we wanted to introduce you to several stylish and practical ways to protect your beloved writing tools. 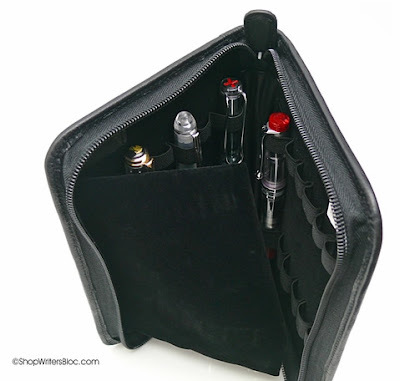 What methods do you use to protect your fountain pens and other writing instruments? Rhodia Pad Holders are like classy dinner jackets for your Rhodia notepad! Over the past couple of years Rhodia has expanded their selection of orange and black pad holders to fit 8 different sizes of Rhodia pads. If you’re a fan of Rhodia’s iconic super-smooth graph paper, you may be wondering if one of these pad holders with pen loop should be adorning the top of your desk. 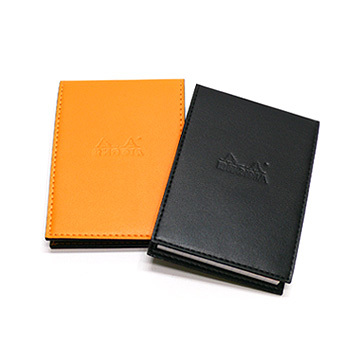 The Rhodia pad holder is made of a lightly grained leather-like material with an embossed Rhodia logo on the front cover. The cover is stitched together around the edges with matching thread and the exterior comes in either bright orange or classic black. 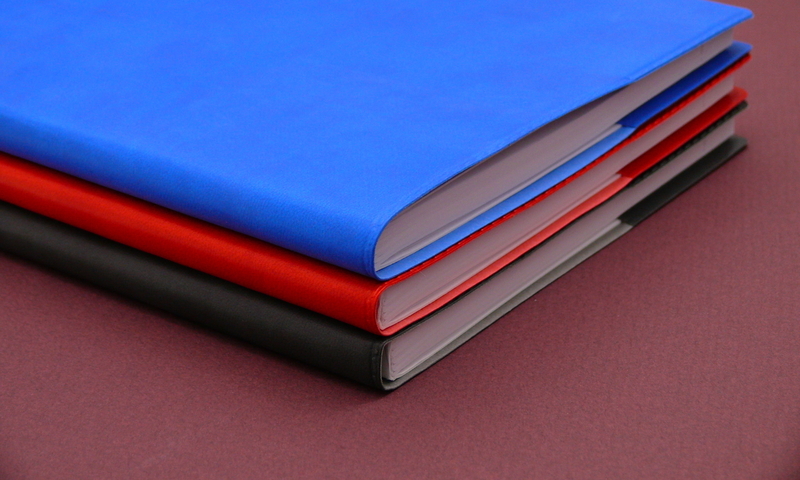 The cover material is quite durable and is an attractive way to protect your Rhodia pad especially if you like to toss it in your purse or carry it in a pocket or briefcase. The interior of the pad holder is black and has 2 pockets. One pocket is designed to hold the back cardboard cover of your Rhodia pad and the front cover too – if you flip the front cover back behind the notepad it will hold it out of the way. The other pocket is there to hold business cards, notes, receipts or whatever you want to save or keep handy. The cover itself is flexible, so if you’re looking for a stiff-as-a-board cover with firm support this is not it. However, the cover definitely does add some support to your Rhodia notepad while you are writing. Originally, Rhodia pad holders did not have a pen loop, but this is now a standard feature on all of the newest covers. The pen loop seems to be made out of the same material as the cover so it is not stretchy like an elastic is. This loop must have been designed specifically to hold the triangular Rhodia pencil since it fits perfectly, so perhaps this should be called a pencil loop instead. A slim pen such as the Pentel Slicci gel pen will also fit in this pencil loop. It’s a practical feature if you need to have a writing instrument on hand at all times. 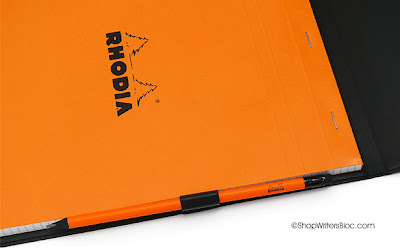 Are you using a Rhodia Pad Holder? What size do you use and what particular writing instrument do you keep in the pencil loop?